If you're starting out in photography, it can be tricky to know where to start when it comes to buying your first camera. Never fear, though, as we are here to try and help you find the perfect photography companion. As a beginner, you are going to need something that is easy, and not too complicated, to use until you get more familiar with your new hobby. You'll also not want to break the bank on your first purchase because ultimately, as you progress you will most likely want to upgrade your kit, be it more lenses or a new body, to something a little more advanced. It's also wise to consider the size of your new camera because if you find it too cumbersome you'll not want to take it out with you. Here, we are going to list the best cameras for beginners in 4 main categories - DSLR, mirrorless / CSC, ultra zoom/bridge and compact to give you a wide-range of options that may suit you. The original and still considered the most versatile camera choice is the DSLR. If you are serious about photography and want to learn all the ins and outs, including working manually, then a DSLR is an ideal choice. You can get a decent body for under £400 and then as you progress, you can choose to buy new lenses as you please and not have to worry about getting used to a whole new setup. 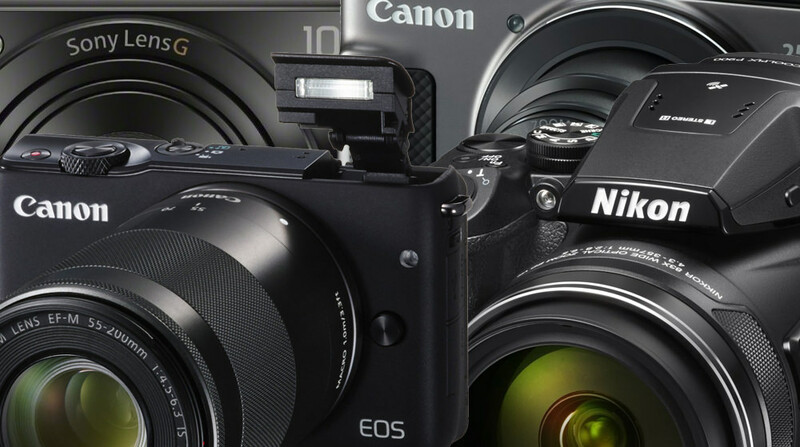 If you have a bit more money to spend, have a look at our Top 10 Best APS-C DSLRs for more choices. Canon is a renowned brand in the photography industry and this is their most affordable DSLR body. The Canon EOS 1300D is actually a bit of a bargain, with an 18-megapixel sensor and built-in Wi-Fi. It has lots of different shooting modes, as well as scene modes. The Canon EOS 1300D has the build quality of a much more expensive camera and has an easy to follow menu system, ideal for someone starting out in photography. 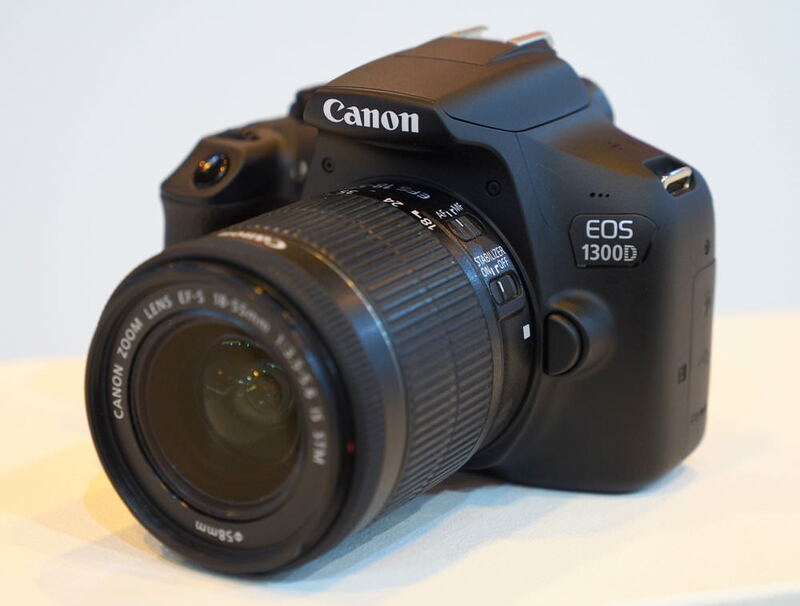 With the entry-level price and built-in Wi-Fi, the Canon EOS 1300D would make an excellent first Digital SLR. 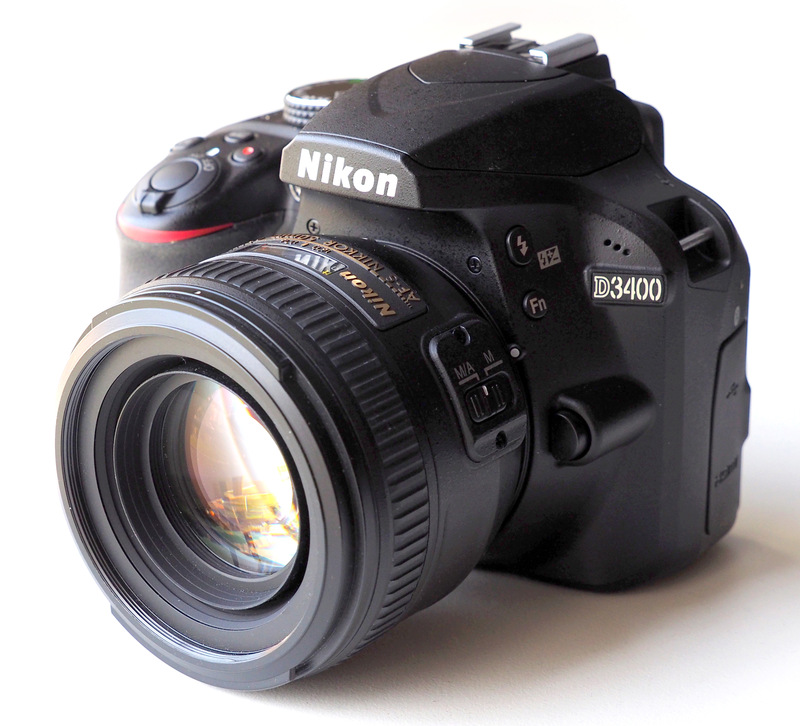 The Nikon D3400 is an update to the D3300 and features low-power Bluetooth for automatic transfer of images, a built-in guide mode, plus long battery life, and a 24 megapixel APS-C CMOS sensor. For those looking for DSLR image quality then noise performance is very good and better than much of the competition at this price point. Focus and shutter response are both fast when using the optical viewfinder, becoming much slower when using liveview. The kit lens performs reasonably well, and is quite compact, but to get the best results, a prime lens, such as the 50mm f/1.8 or f/1.4 is recommended. If you want a Digital SLR that is can instantly share photos to your smartphone, then the Nikon D3400 offers great image quality and good value for money. If you can live without the instant connection, and want to remotely control your camera then there are other options available. 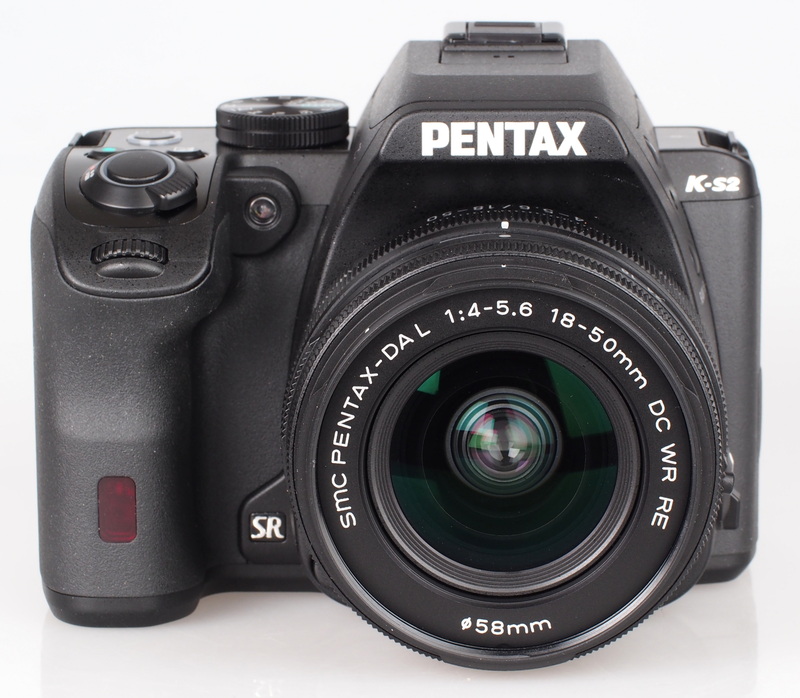 The Pentax K-S2 has a flip out screen, ideal for photographing from different angles. It has a very ergonomic design for easy grip while still being compact, and features a 20.12-megapixel sensor. There are inbuilt Wi-Fi and NFC, as well as 20 digital filters to choose from. The camera is also weatherproof and a very affordable bundle. Mirrorless camera still give you the versatility to change lenses and achieve full manual control, ideal for those wanting to progress in photography. The main plus point for mirrorless cameras is size. Rather than reflecting the light to the sensor using a mirror like in conventional DSLRs, mirrorless cameras skip this element, allowing them to be much slimmer. Check out our best entry-level mirrorless cameras for more options. 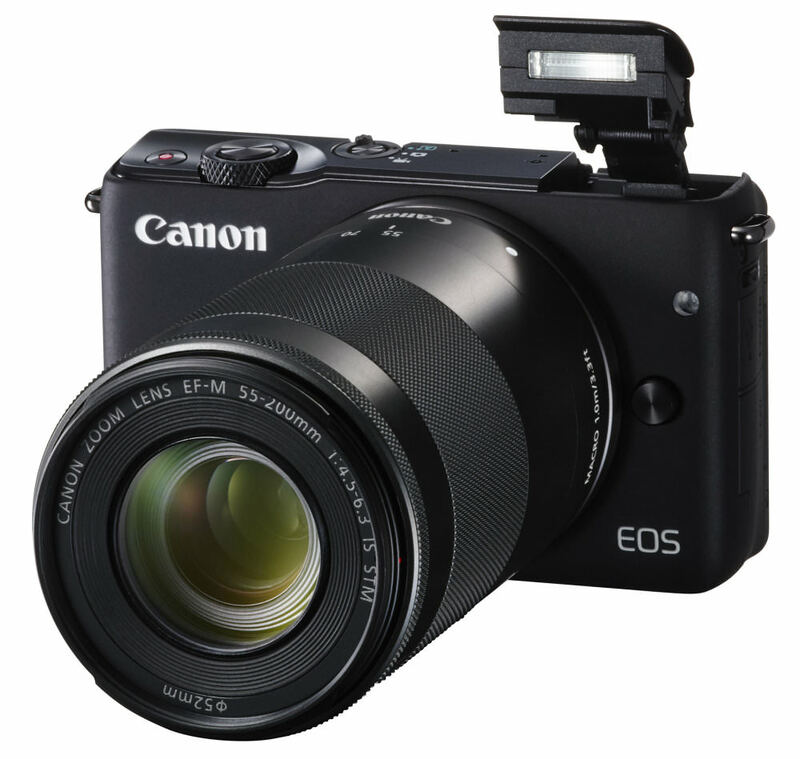 The Canon EOS M10 is one of the cheapest and smallest mirrorless cameras available, with an 18-megapixel sensor and has a tilting touchscreen which should make it really easy to use and navigate the menus. There's Wi-Fi for storing and transferring images plus the camera is really very compact - making it easy to stow away whilst giving you the flexibility to change lenses. The Panasonic Lumix GX800 offers a compact and stylish camera body, a 16 megapixel Micro Four Thirds sensor, and 4K video recording. Built-in Wi-Fi ensures you can quickly and easily transfer photos to your smartphone, and the tilting selfie-screen and built-in flash will make it great for anyone who wants to take high quality portraits. As part of the Micro Four Thirds system, there's a wide range of lenses available to suit every budget as well. For those on a tighter budget, the GX800 offers a lot of features, fast performance, and excellent image quality, all for less than £500. If you don't want the fuss of having to change lenses but still want a big reach in terms of zoom, then a bridge camera could be the answer. Still providing reasonably large sensors and manual settings, they are a great in-between choice for those transitioning to a manual camera. If budget isn't a problem take a look at our best ultra-zoom cameras article for more choices. 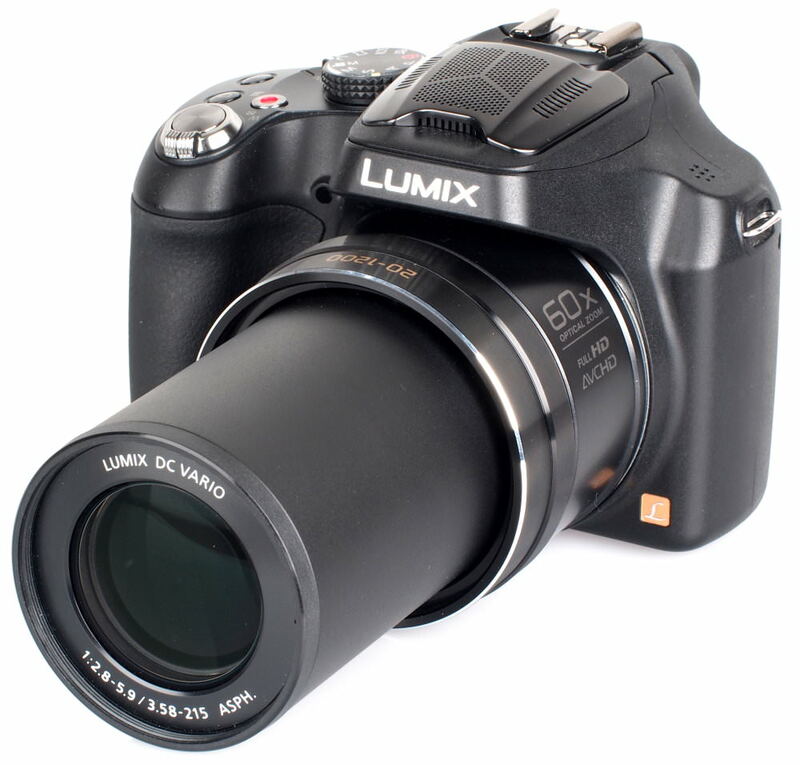 The Panasonic Lumix FZ72 has a massive 60x optical zoom that can extend to 102x digital zoom (be careful, digital zoom essentially just enlarges the pixels giving you a smaller resolution). It has a 16.1-megapixel sensor and Power OIS (Optical Image Stabilisation) to help keep images sharp when shooting hand-held. 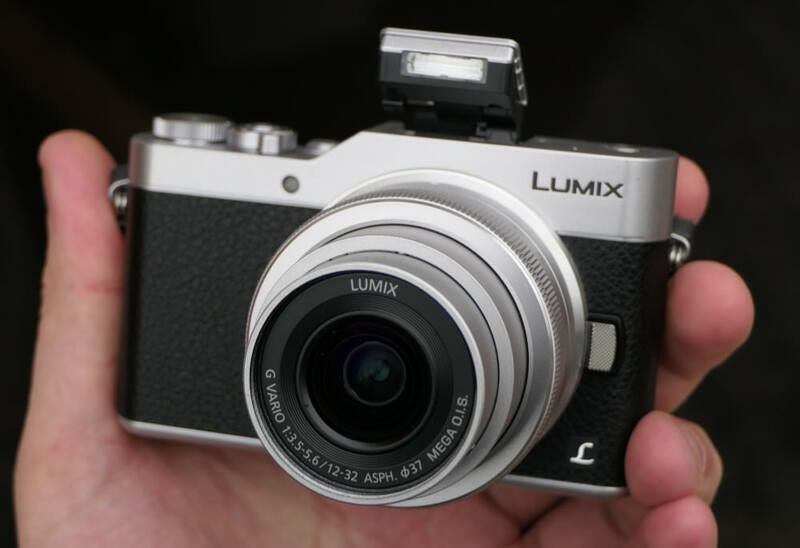 The Lumix FZ72 has plenty of excellent features and has an excellent battery life to boot, keeping you shooting all day. 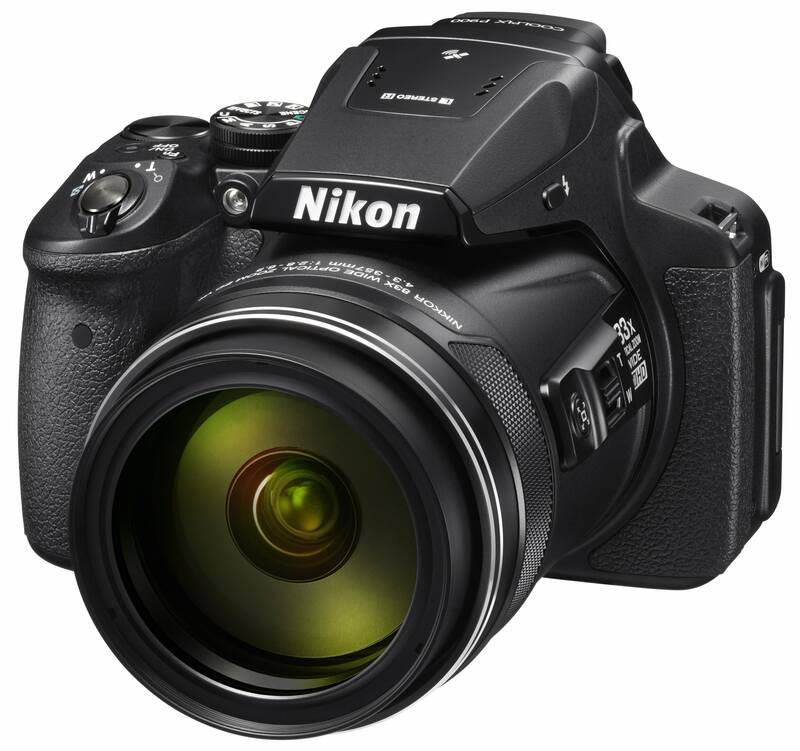 The Nikon Coolpix P900 also has a whopping 83x optical zoom and Wi-Fi. There is a tilting and flip-out screen for ease of use when shooting in different situations, and it's also possible to shoot at less than 1cm away from your subject, making it great for macro photography. You can shoot video in FullHD 1080p, and there is an Auto HDR mode ideal for those looking to learn more about this method of shooting. The camera is really ergonomic, featuring a good grip and has special modes for shooting birds and the moon, too. 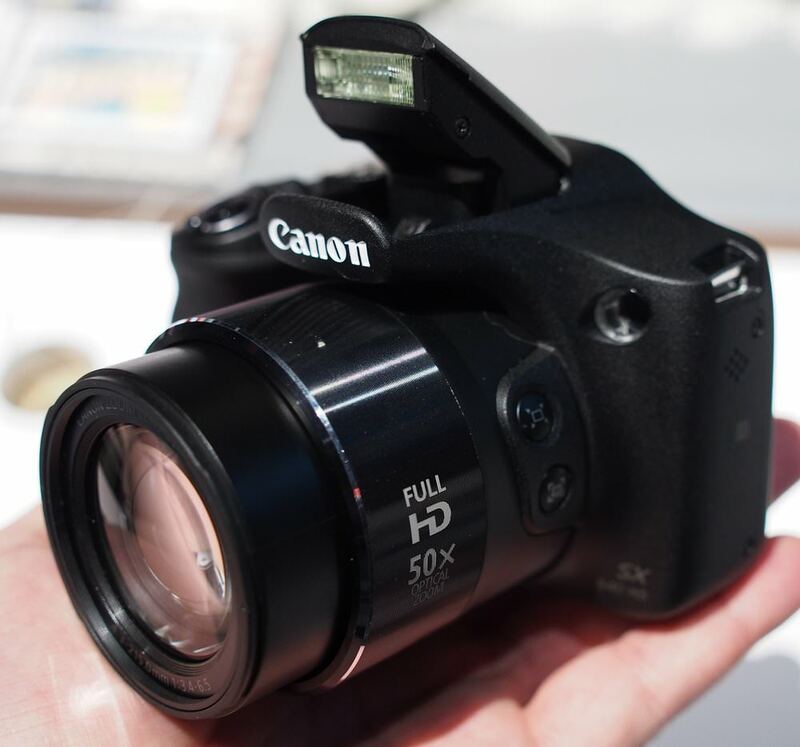 The Canon PowerShot SX540 HS is an updated version of the SX530 HS, which we reviewed in October 2015. The SX 540 HS has 50x optical zoom and good low light imaging capabilities. It has a 20.3-megapixel sensor, compared to the 16-megapixel sensor of the SX530 HS. It also has the power of a DIGIC 6 processor. ZoomPlus allows you to digitally double the zoom capability without losing resolution. The camera sports a good grip and is relatively small for the huge zoom range. There is a pop-up flash and the camera also has a bright, good sized screen on the back. The design is well thought out with large buttons. If you're not sure whether a hobby in photography is for you, or simply wish to start basic, there are easy to use compact cameras that are good value and still capture a good image. These are very compact, so can be slipped into a pocket or bag when not used. If you're looking for more compacts that won't break the bank, have a look at our best budget cameras article. 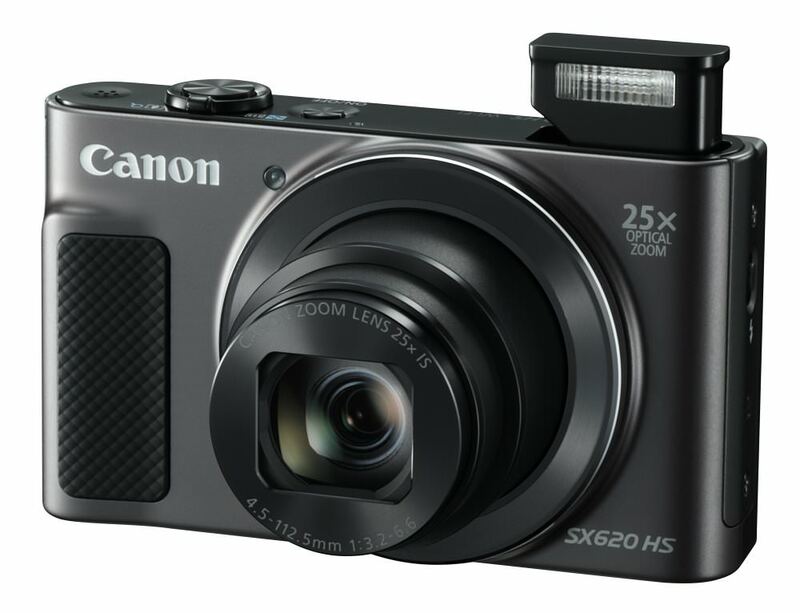 The Canon PowerShot SX620 HS features a 20.2 Megapixel CMOS sensor, DIGIC 4+ processor and an eight mode Intelligent Image Stabiliser. It also has a 25x optical zoom that's extendable a further 50x with ZoomPlus. The SX620 is actually an update of the SX610 and it features more zoom than the previous model, better battery life and a higher resolution screen. Plus, it's smaller in size as well. As you'd expect from a modern compact, Wi-Fi and Dynamic NFC are built in along with a Creative Shot mode for applying effects such as miniature and fish-eye. The PowerShot SX620 HS captures full HD movies with Dynamic IS and video footage can also be merged with stills with the help of Story Highlights. 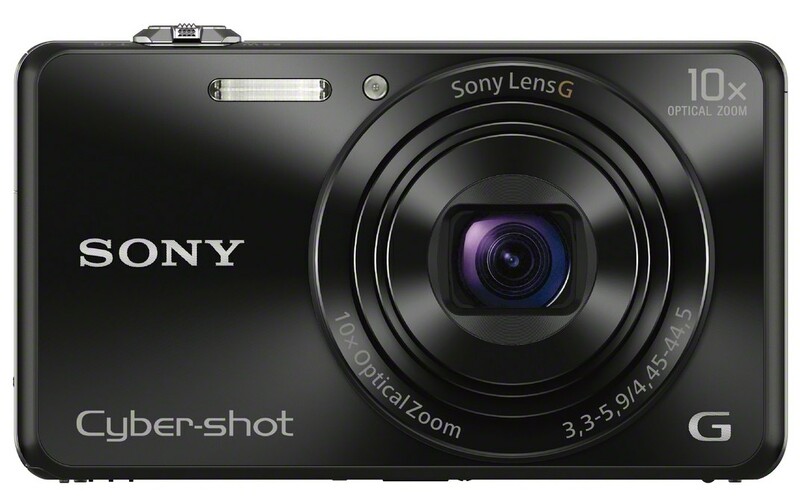 This Sony Cyber-shot WX220 ultra-compact camera also has an ultra-compact price, at around £155. It has an 18.2-megapixel sensor and a 10x zoom lens. If you're style conscious, this one looks pretty sleek. The camera has HDR and iSweep panoramic modes along with built-in image stabilisation. It also has an impressive 10 frames per second continuous shooting mode. 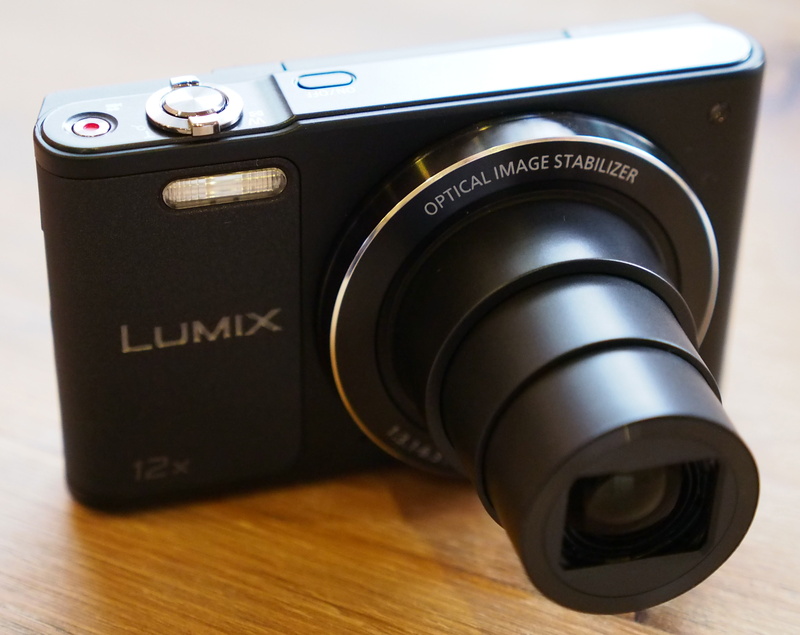 The Panasonic Lumix DMC-SZ10 has a tilting selfie screen and a 12x zoom. There is a 16-megapixel sensor and the lens has optical image stabilisation. The camera has a good rubber grip and a simple layout of controls. Ther is also built-in help to explain options and settings, ideal for beginners. The camera has lots of creative effects and is compact and lightweight. Not Found The Camera For You? If you're still looking for the perfect camera, have a look at our 'Best Gear' section of the site. Don't forget you'll also need a memory card to go with your new camera and perhaps a camera bag.